The inclusion of Damian Willemse in the Bok squad needs to be seen in the context of big-picture thinking, writes CRAIG LEWIS. Make no mistake, there is a clear plan in place for the talented 20-year-old. Back in June, it was decided that the best course of action would be for Willemse to head with the SA U20s to France in order to once again test himself against some of his age-group counterparts, while hopefully guiding South Africa to a Junior World Championship title. 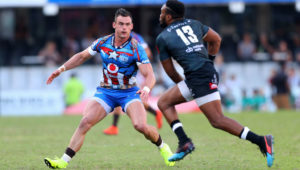 It didn’t all go exactly to plan as Willemse sustained a knee injury that curtailed his involvement in that tournament, which also ruled him out of the remainder of the Stormers’ Super Rugby campaign. Yet, it speaks volumes that Willemse still earned expected inclusion in the Springboks’ Rugby Championship squad despite being sidelined from frontline action since early June. The fact is that Rassie Erasmus isn’t fussed. He’s had his eye on Willemse for some time, and immediately after the third and final Test against England, the Bok coach already suggested that the youngster would be in the mix for the Rugby Championship. 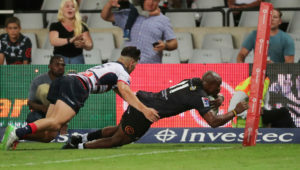 Last week, Erasmus provided further insight into the planning for Willemse when he revealed that the Stormers flyhalf was initially set for game time at fullback, while highlighting that it was his ‘physicality’ in Super Rugby that had been a standout factor for his selection. On that first point, it appears to be an astute approach to introduce Willemse to Test rugby from fullback, where he starred for Western Province on their way to the Currie Cup title just last year. In many ways, it bears similarities to the All Blacks’ management of the mercurial Damian McKenzie, who began his All Blacks career with a ‘softer’ introduction at fullback, before beginning a more permanent move to the flyhalf position, which is where coach Steve Hansen feels his future lies. Rather than expose Willemse to a baptism of fire at flyhalf, Erasmus is keen to see if he can make the step up to the international arena from fullback, where he will have more time and space to settle in. 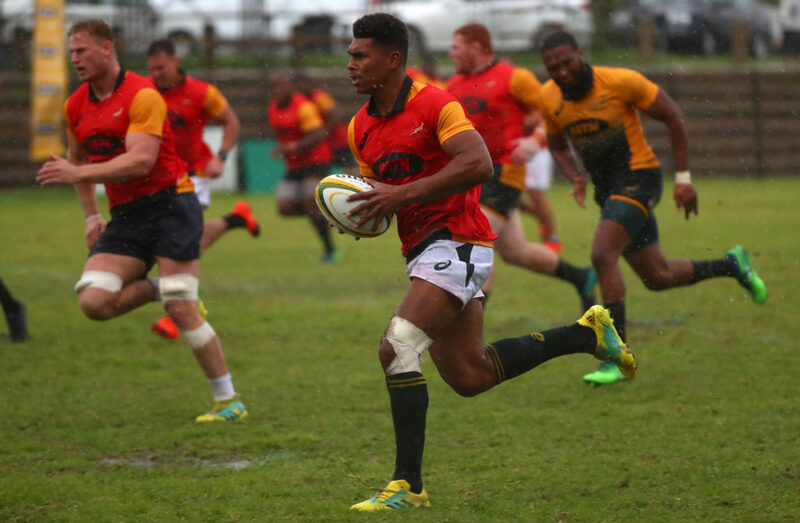 Having been likened to Frans Steyn – who won a World Cup at just 20-years-old – there will be opportunities in this Rugby Championship to see whether Willemse can make an expedient transition to Test rugby as one of those youngsters who has simply ‘got it’. It’s a conversation that brings us to former Junior Springbok counterpart, Curwin Bosch, who not that long ago was being championed as the sort of young superstar who should be brought into the Bok setup as soon as possible. Unfortunately, the management of Bosch has left a lot to be desired at times. 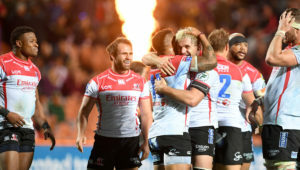 He was brought off the bench in a brief Test debut against Argentina last year, before returning to the Sharks, where he guided the Durban-based side to the Currie Cup final from the flyhalf berth. 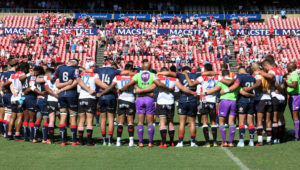 However, certain defensive frailties were exposed in the 2017 title decider, while this Super Rugby season he has played almost exclusively at fullback, with Rob du Preez preferred at flyhalf. Although Bosch remains on the Bok radar, he hasn’t quite done enough in Super Rugby this year to retain a place in the Springbok squad, and the reality is that this flyhalf/fullback berth has now gone the way of Willemse. The defining and differentiating factor does appear to be the physicality of Willemse, who is a more than willing defender, and the sort of playmaker who is happy to take the ball to the line and test opposition defences with both his size and sidestep. With Warrick Gelant injured, and Willie le Roux possibly set to have his game time relatively limited in the Rugby Championship, Willemse has an opportunity to ‘jol’ first at fullback, while also offering a back-up option at flyhalf. As it stands, the pecking order at fullback probably reads: Le Roux, Gelant, ? 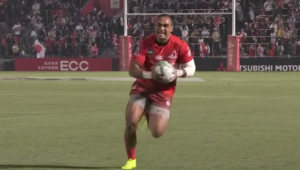 And at flyhalf: Handré Pollard, Elton Jantjies, ? But now, Willemse can effectively provide the answer to both those question marks. In a World Cup squad, the versatility of a player who could do a job at flyhalf, fullback and even inside centre remains a sought-after commodity. Injuries and unavailability have prevented Steyn or Pat Lambie from staking their claim for such a utility role, while Bosch has fallen somewhat behind the pack. Suddenly, Willemse has an opening to make his stay in the Bok team a permanent one.